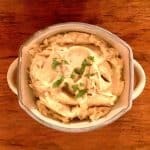 Best Instant Pot Garlic Mashed Potatoes Easy Recipe. Really. So. Easy. Creamy, garlic infused, amazing homemade mashed potatoes. In 30 minutes. 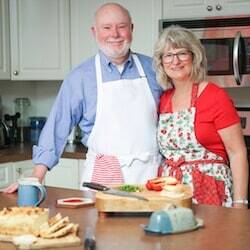 Hi, it’s Lois, telling you about my new favorite way to make creamy, delicious Garlic Mashed Potatoes, with the Instant Pot. I bought some of those tiny new potatoes, this time a mixed medley. Washed them, stuck them in the Instant Pot with 2 cups of water. High pressure for 12 minutes. And the potatoes are done. Wow. There’s a little more to the recipe. But not much. This recipe includes butter and milk. Because I don’t eat any dairy except butter, I substituted Ripple Plant-Based (Pea) Milk. It’s amazing stuff. High protein, smooth and creamy. I like the unsweetened version (and the chocolate is SO scrumptious)! This milk is hard to find locally, but I can get it at Target. 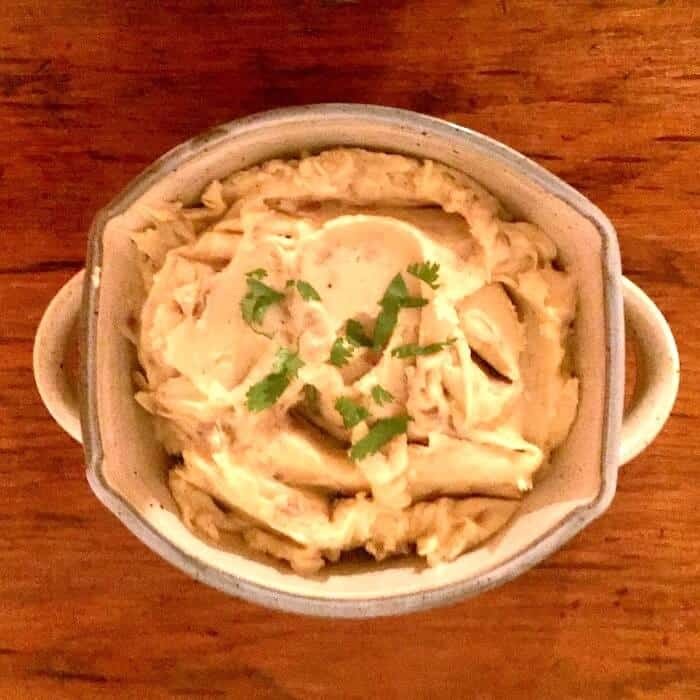 And my Instant Pot Garlic Mashed Potatoes Easy Recipe turned out creamy and scrumptious. They were perfect, as far as I’m concerned, but Don thought they could use a wee bit more milk. I like a thicker mashed potato; he likes smoother and creamier. So you might want to adjust the amount of milk you include. Don has always been our Garlic Mashed Potatoes guy. And he traditionally uses Julia Child’s recipe. It calls for 2 whole heads of garlic. I’m stepping out of that recipe because I find I truly love jarred minced garlic. What a lifesaver. And so delicious. Spice World Organic Minced Garlic. Buy it on Amazon. These Instant Pot Garlic Mashed Potatoes Easy Recipe are full of that robust garlic flavor. Smooth, creamy mashed potatoes. 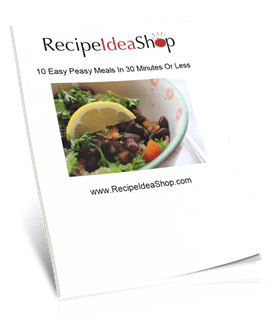 Easy Instant Pot recipe. 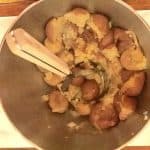 Wash the potatoes and put them in the Instant Pot. If they are larger than 1.5 inches in diameter, cut them into smaller pieces. Close and lock the lid. Make sure the vent is closed. Set to high pressure, 12 minutes. It takes the Instant Pot about 20 minutes to get to pressure, then it cooks for 12 minutes. While the potatoes are cooking, melt the butter and add the garlic to the butter. Simmer on low for about 5 minutes (longer is okay) until the potatoes are ready to mash. When the time is up for the potatoes, you can let the pot release the steam on its own when it switches to "Lo" automatically (mine sat for about 37 minutes). Or you can do a quick release of the pressure to check the potatoes. Mine were perfectly cooked. If they aren't done, repeat the cooking procedure for 3-4 more minutes. Once the potatoes are done, remove the potatoes (leave the water behind) to your mixing bowl, add the butter/garlic mix, and mash by hand until mostly smooshed. Add the salt, pepper and milk. Whip on high until your potatoes are the texture you like. Add more milk if you like a creamier potato. Serve immediately, hot with a little chives on top. Note: We like our mashed potatoes a bit lumpy, but if you like yours smoother, you can microwave them on high for 3-5 minutes and the lumps will nearly disappear. 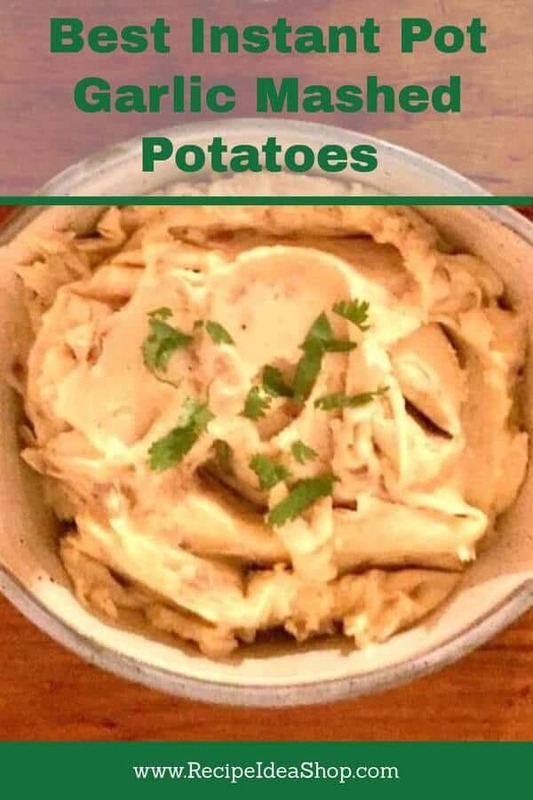 The Best Instant Pot Garlic Mashed Potatoes Easy Recipe Nutrition Label. Recipe makes about 6 cups. Each serving about 3/4 cup.